Boisleux-St. Marc is a village in the department of the Pas-de-Calais, 8 kilometres south of Arras. 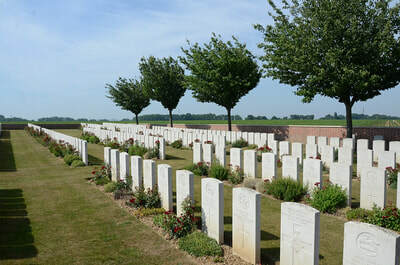 Sunken Road Cemetery is down a 1 kilometre track on the west side of the road running between this village and the adjacent village of Boisleux-au-Mont (D42E). Wheelchair access to this is ssite possible, but may be by an alternative entrance. 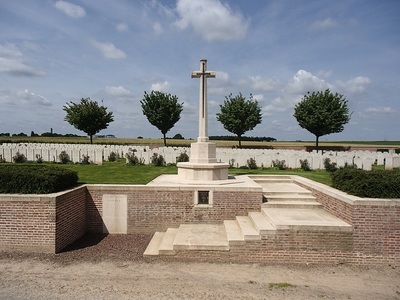 Boisleux-St. Marc was occupied by Commonwealth troops in March 1917 following the German withdrawal to the Hindenburg Line. 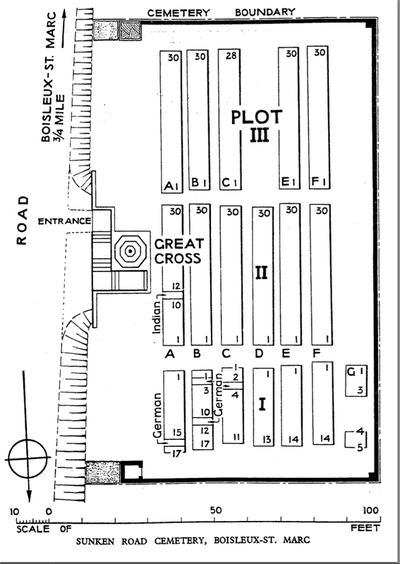 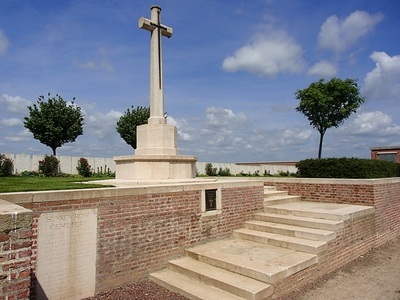 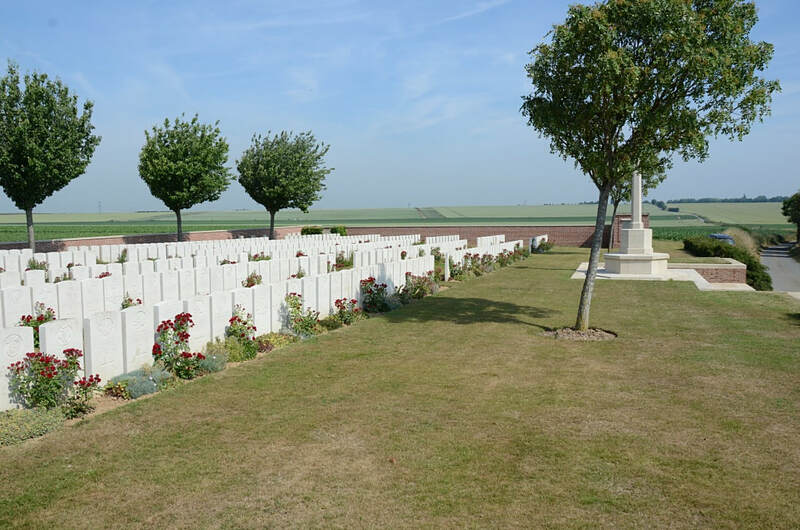 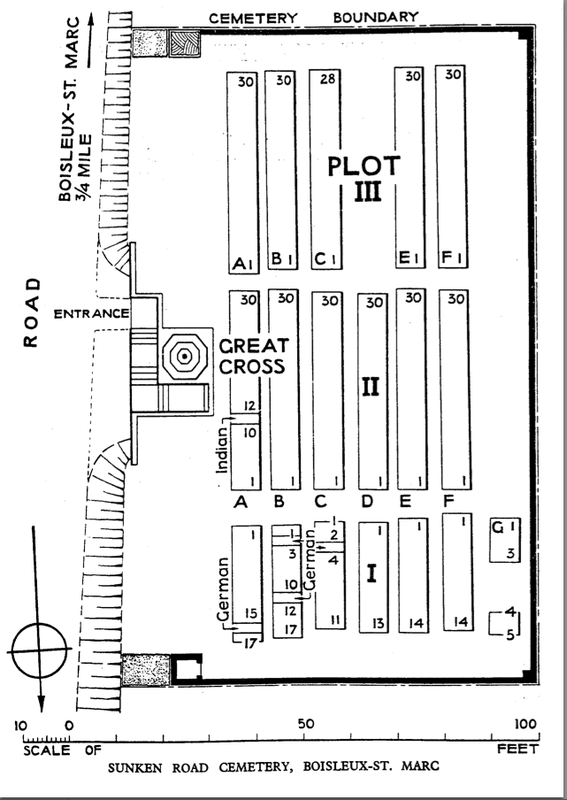 The 20th Casualty Clearing Station was established at Boisleux-au-Mont in June and the 43rd in November, but both had left by the end of March 1918. 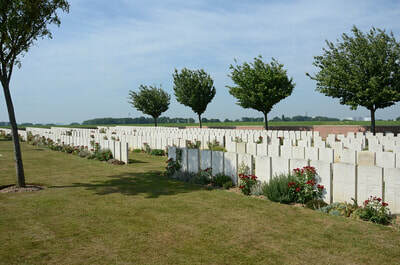 From April to almost the end of August part of Boisleux-St. Marc was once again in German hands. 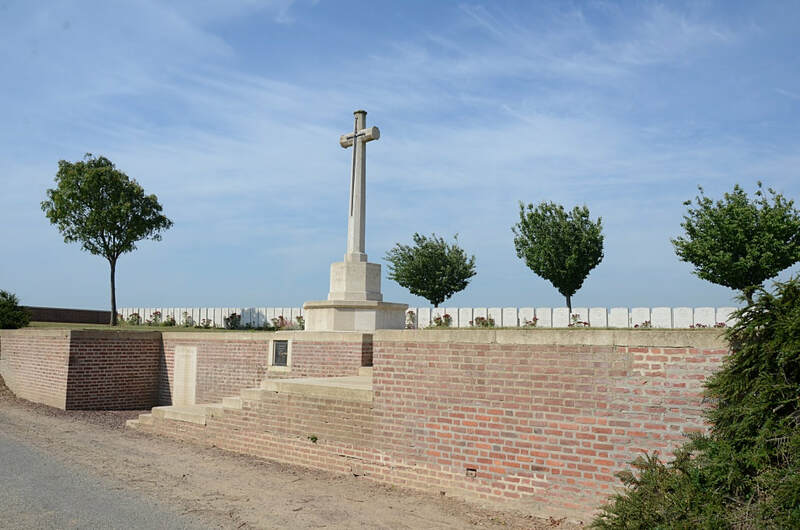 In September, October and November, six Casualty Clearing Stations were posted at Boisleux-au-Mont for shorts periods. 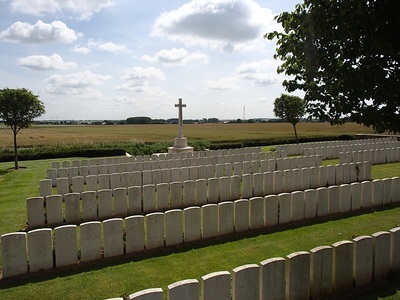 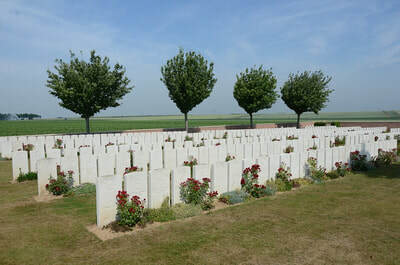 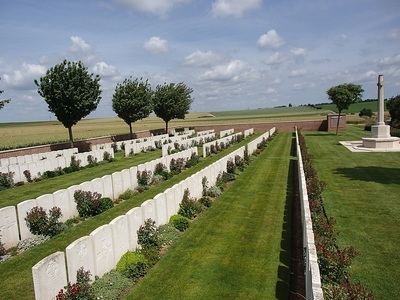 Sunken Road Cemetery was called at one time "Boisleux-au-Mont British Cemetery". It was begun by the hospitals in May 1917 and used until July when it began to be shelled. 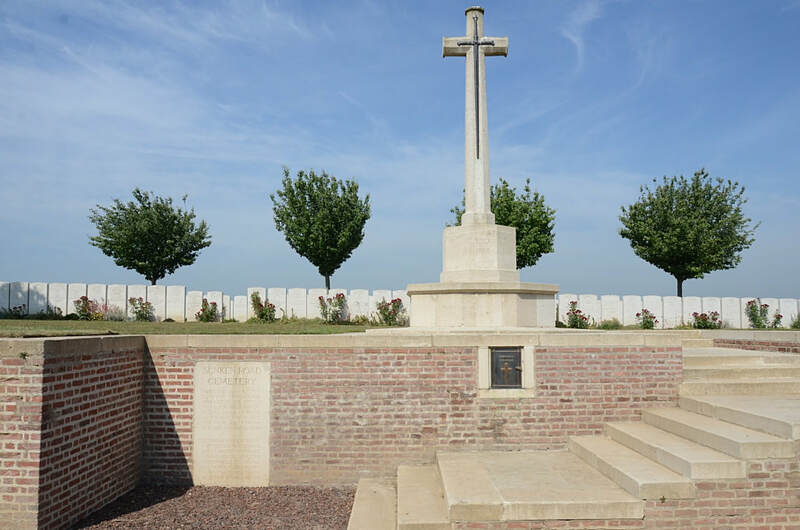 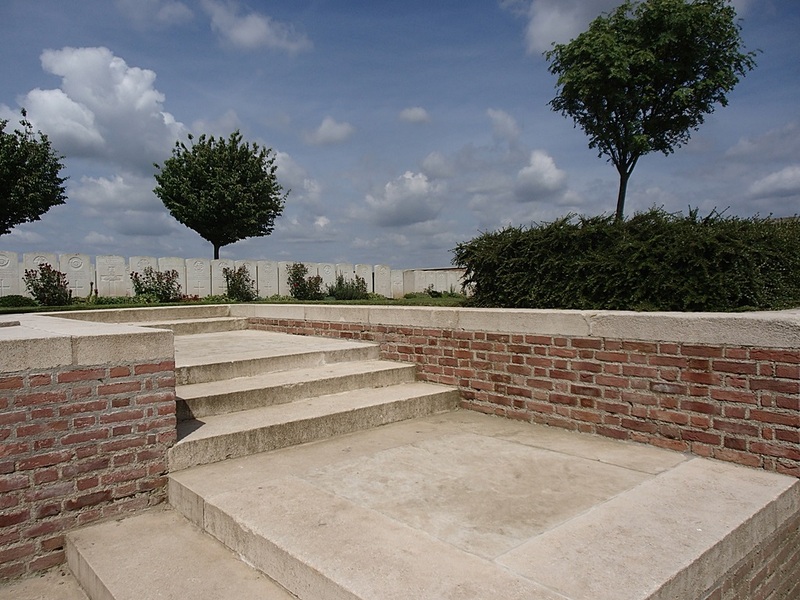 Four burials were made in March 1918 and it was completed the following September and October. 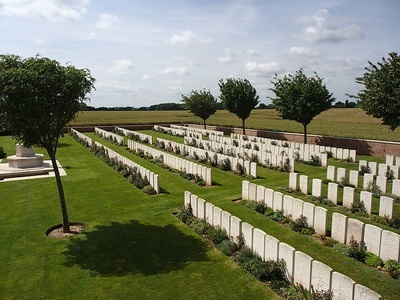 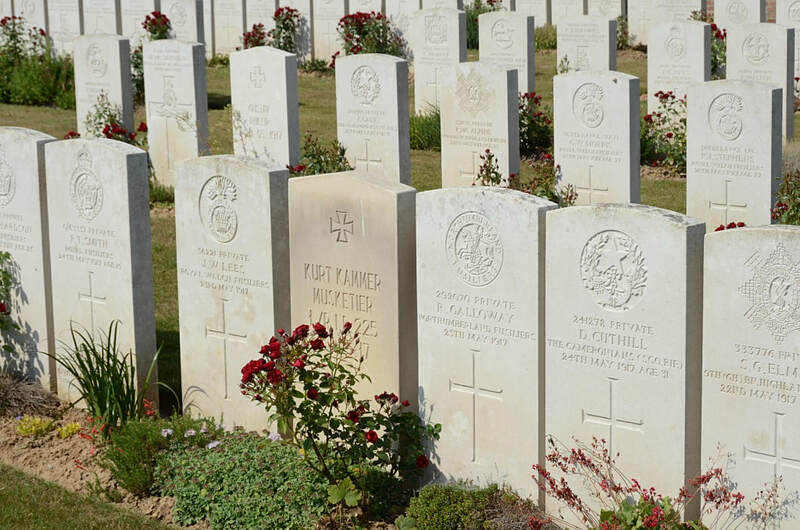 The cemetery contains 416 Commonwealth burials of the First World War, two of them unidentified, and four German war graves. Casualty Details: UK 399, Canada 14, New Zealand 2, India 1, Germany 4, Total Burials: 420. 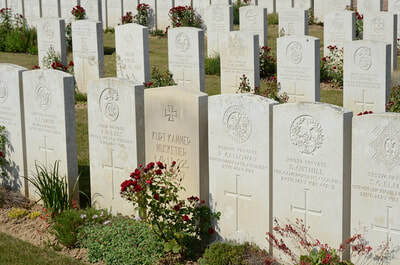 63812 Private R. Robinson, 5th Bn. 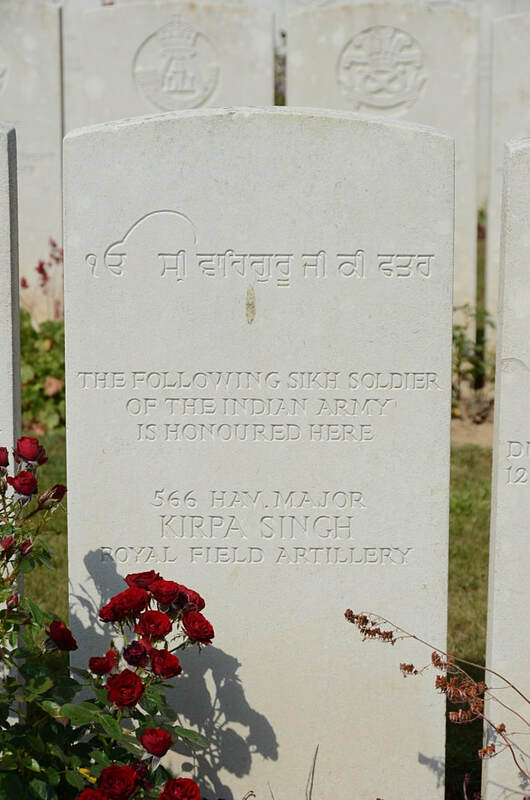 King's Own Yorkshire Light Infantry, 15th September 1918.